They were so confused and hungry — and no one knows how they got there. On Sunday night, Junior Cook and his friend, Leon Colombe, were relaxing in Cook’s yard in Cross Lake, Manitoba, in Canada, when they heard some unusual sounds. Cook lives right on a lake, so he reached for his binoculars and peered out across the water. 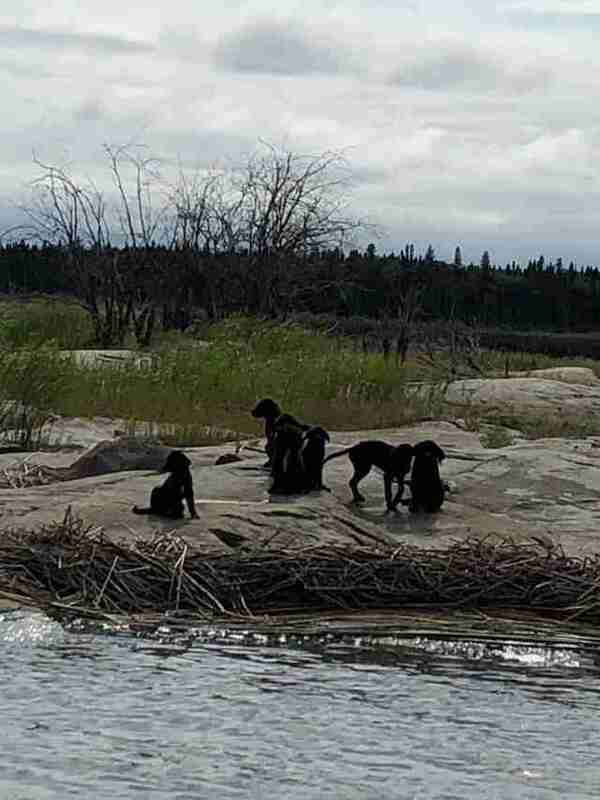 He could see some small shapes moving in the distance, and brushed them off as wolves fighting on a nearby island, according to Deborah Vandekerkhove, director of Norway House Animal Rescue, a rescue based in Winnipeg, Manitoba. 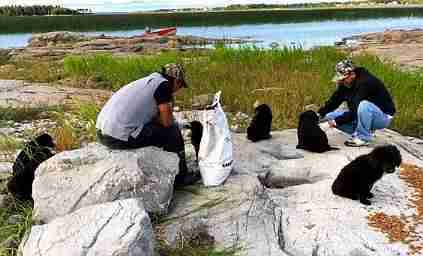 As their boat approached, seven fluffy 4-month-old puppies ran up to the shore to greet their saviors, tails wagging. But when the men dismounted from the boat, they could see that, under their thick coats, the puppies were starving. From their scrawny appearance it seemed the little castaways had been stuck on the island for at least a few weeks. The two men gave the puppies the small amount of food they had with them, but the dogs were frightened of getting too close. 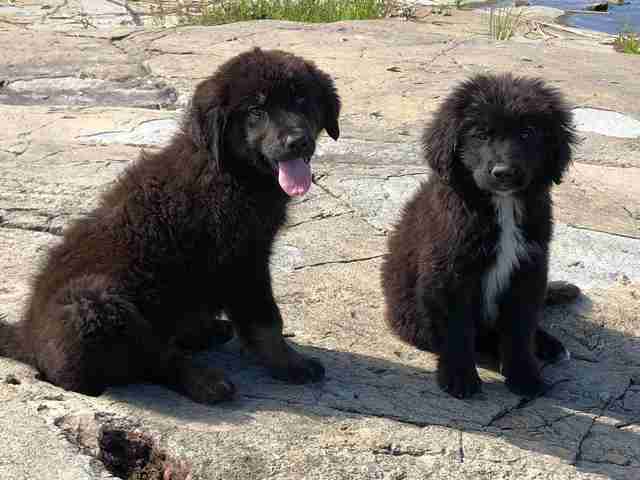 Upon returning home, Cook and Colombe got in touch with Vandekerkhove and began to work on a plan to save the mistreated puppies, whom they named after characters from the TV show "Gilligan's Island" — Gilligan, Skipper, Ginger, the Professor, Mary Ann, Thurston Howell III and Mrs. Howell. But first they had to earn their trust. And so “Operation Gilligan’s Island” began. For two days, the men ferried food and fresh drinking water over to the island, along with medical supplies and dog kennels. Cook even dragged his own doghouse across the lake so the nervous dogs would have some protection from the elements. By Wednesday, the puppies were finally comfortable enough around their caretakers to be safely rescued and brought to a foster home. Now that they’re easing into their new life, most of the pups are all too happy to leave their painful past behind. 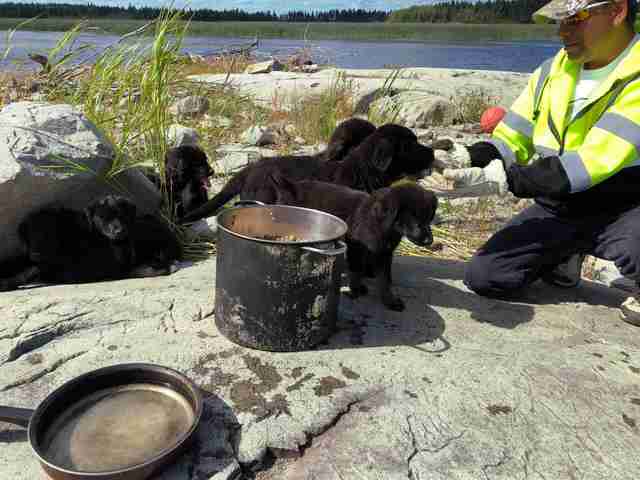 While it is still unclear how the puppies got to the island, the important thing is that they are safe. The puppies are being transferred to Winnipeg Pet Rescue, where they will be under veterinarian care for a few weeks until their rescuers can confirm that they are healthy, safe and properly socialized enough to be ready to find their forever homes. Vandekerkhove is optimistic that all the puppies will make a full recovery. 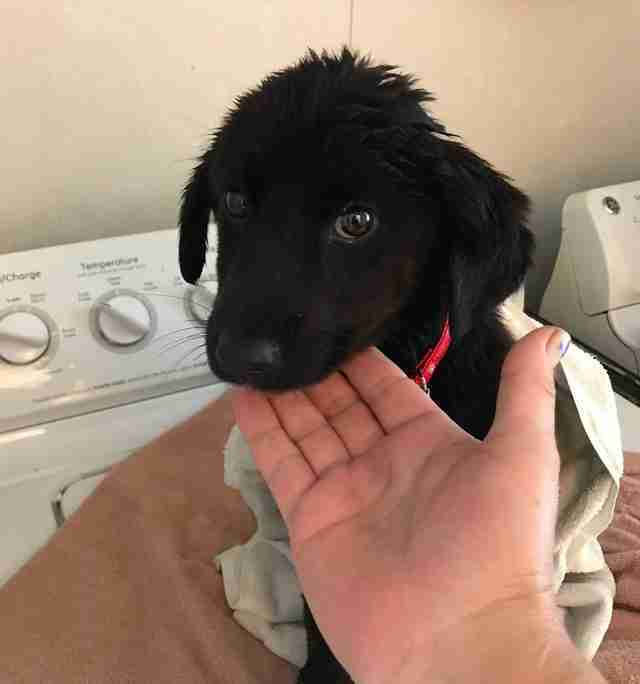 To help support the Gilligan’s Island puppies’ rescue, you can make a donation using the PayPal link on Norway House Animal Rescue's Facebook page.